Rose is the symbol of beauty in flowers and every one of us loves to have rose, right? We use rose as To express love rose is first stair. They are beautiful to watch and have good fragrance. They used in the temple to adornment the god. 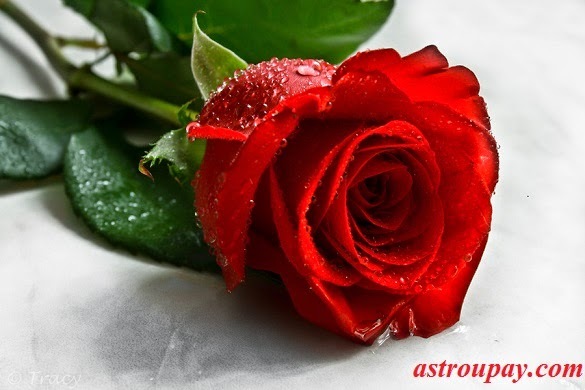 If someone wants to accomplish their desire then rose can be boon for them. 1. You can offer 11 rose to Lord Hanuman on first Tuesday of Shukal Paksh. You have to do this for 11 Tuesday so that lord Hanuman becomes happy and accomplish your desires. 2. Take bath and wear orange color clothes, go to the Hanuman temple and offer 11 roses on Tuesday. You have to light lamp of ghee and offer Sindoor on his body and worship Hanuman that your wish come true and favors you. After that you have to do one mala of following mantra. 3. One who cannot complete their work, work stops then they can do following remedy of rose. Take 3 roses or 3 fiddle or jasmine flowers and flow it in the river after taking the bath. You have to do this remedy for continuously for 5 full moons day and you will get good benefits. 4. It is considered bad planting thorny trees. But rose plant is exception in it. Positive energy increase and negative energy decrease by planting rose in the east side in the home. Love increase in the married life by keeping rose in the bedroom.